First woody species to flower each year. Very fragrant. 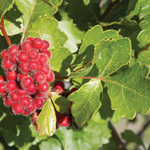 Attractive, compact shrub with several medicinal uses. 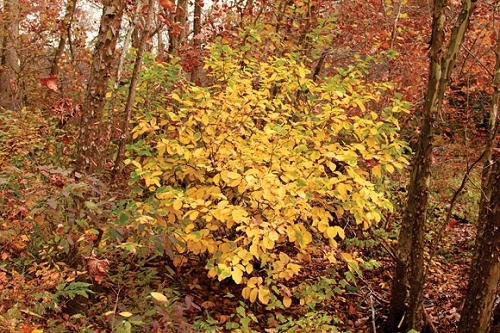 Q: Is this the witch hazel known as "Christmas Cheer"? A: No, but ours may have the potential to bloom as early "Christmas Cheer" which was cloned from a Missouri plant many years ago for its early bloom time.